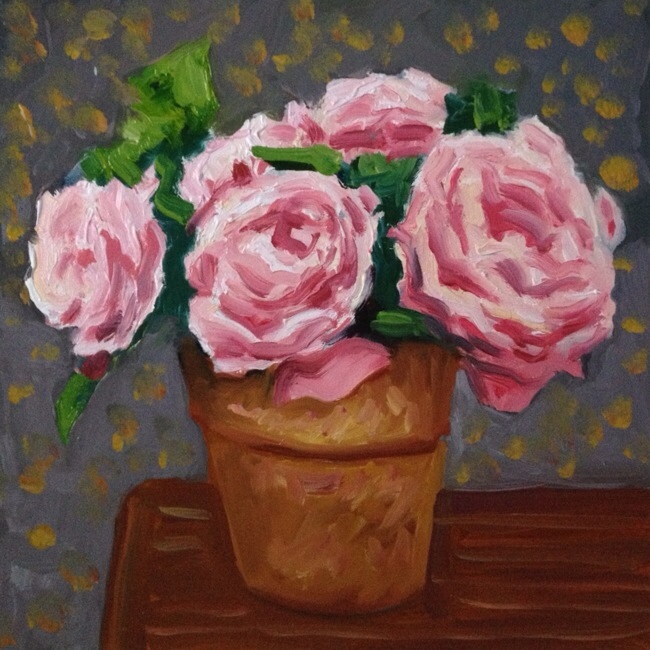 “Please believe me” was one of the meanings attributed to pink roses during the Eighteenth Century in England, and I thought it would make a nice sounding title for a painting. Utterly charming. I think these are the best flowers I have seen you paint. Did you paint them for Thea ? Seeing them makes me remember how I sent roses to my mother on her birthday and Mothers Day. They were her favorite flower. Looking at them and how beautiful they are and I can almost smell them.